We are very excited and proud to welcome Austin, Chase, and Corey to the team! 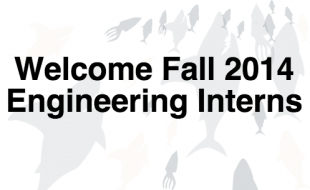 They are the latest crew to join our OpenSesame Engineering Intern Program. They will spend the next 3 months embedded with our team. As our strongest and most advanced intern class yet, they will have countless opportunities to provide value to the company and help grow our product. While they bring us great value, we (the engineering team in particular) will strive to do so in return by helping advance their skills & experience, offering mentorships, and strengthening each intern’s portfolio of work. I have always had a personal passion in computer technologies, in seeking understanding on how things work, and in problem solving, and I take great pride in anything I have had a personal part in creating. I knew I needed to pursue a career that would satisfy every one of my traits and that is why I chose to pursue my true passion in software developing and enrolled at Oregon Tech in the B.S. in Software Engineering Technology program. I am currently a senior in the program and excited to be almost finished. I am excited for the opportunity to be a Software Developer Intern for such a great company. This is going to be an invaluable and amazing experience due to the knowledge I will gain from such a great group of developers and great organization. The real world experience in a strong developing environment and the possibility to personally provide a positive impact is what excites me the most about this opportunity! After I graduated from high school in Reno, NV I got job parking cars as a valet at one of the downtown casinos. My intent was to save money and attend the local public college pursuing a traditional bachelor’s degree. But rapid tuition price increases soured me on the idea, and I started looking for alternatives. I had read an article online about a programming bootcamp and how they were trying to turn folks with little to no experience into full-fledged developers. I started researching different bootcamps and decided to attend Epicodus located here in downtown Portland. After a year of saving money, I quit my job and made the move to Portland. I’m very excited by the opportunity to intern here at OpenSesame. I feel incredibly privileged to be here. This is an awesome company with talented people and I hope to learn as much as possible during my stay. In my spare time you can find me sorting through back issues of comics or playing Street Fighter 3 at the local arcade. The last six exciting months of my life have been dedicated to learning, as a Treehouse student, and making a career transition. From working at an insurance agency in San Jose, CA to becoming a developer intern at OpenSesame, the journey has been incredible and I couldn’t be happier with where life is taking me. The energy here at OpenSesame is awesome, and everyone has been very welcoming. With an insatiable appetite for learning and so many opportunities out there, I hope to be a lifelong learner. Topics I enjoy most are related to technology and neuroscience, though I’m happy to deviate into other categories such as philosophy or economics. When I’m not learning new things, I go on adventures with my wife Melanie and my 1 year old pup, Rex. Whether we are relaxing at a restaurant or watching Rex dash up and down the trail, I love spending time with my little family.